This post is sponsored by Playing Forward. Technology has changed so much and so fast over the years. The way kids play and interact is so fantastic. The ability to be transported to new worlds and be immersed in the stories is a whole new experience. 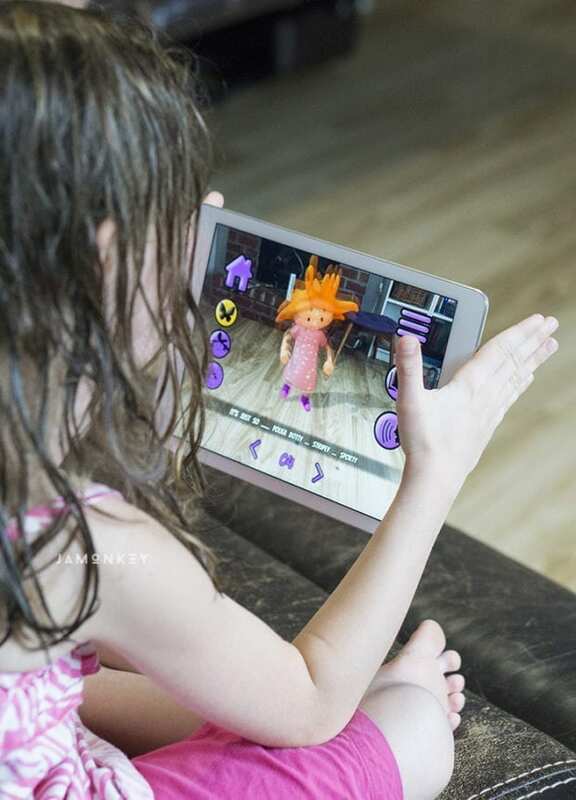 We recently downloaded a new storytelling app that uses augmented reality to let kids jump into the story or even have it jump into their world. Lizzy's World is a fun story about a little girl that is going to school for the first time, and she is nervous, but also gaining confidence by getting herself ready. She has fun, funky red hair, and great fashion sense. Lizzy deals with the emotions of something new in her life. The app has a couple of cool features including a “read to you” button and an AR option. You can also change your view while you are reading the story. Each “page” is a new scene with an animation of what Lizzy is doing: getting dressed, getting on the bus, or learning science. There are butterflies that you will see flying around the scenes. When you tap on them, the view of the story will change, and you will get a new perspective. The new view will give a better look at the setting and the other characters in the scene. 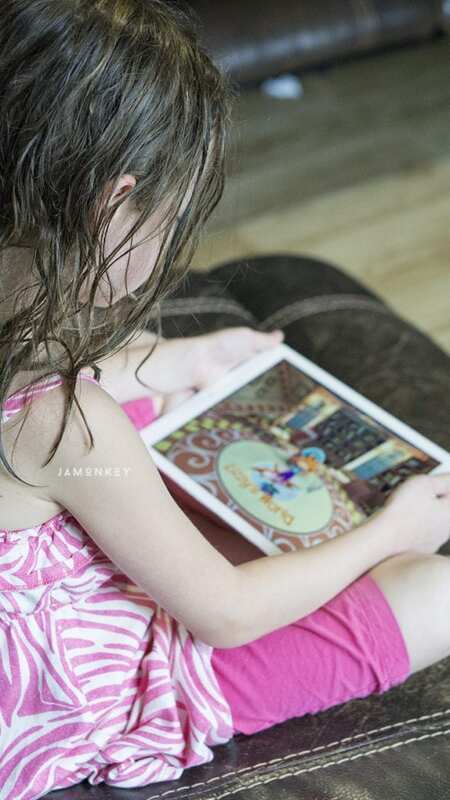 The app also utilizes augmented reality to have Lizzy join the reader in a real-world setting. The AR button is the one that looks like a smartphone over a table. Using the device's camera, Lizzy looks like she just joined your child wherever they are viewing. In our case, it was the living room, and our dogs were walking around her. It adds a new level to storytelling that we haven't seen before. Squish really loves that you can have Lizzy hang out in your play area as you read the story and she acts it out. Especially if she positions Lizzy to be jumping on the dog's back! 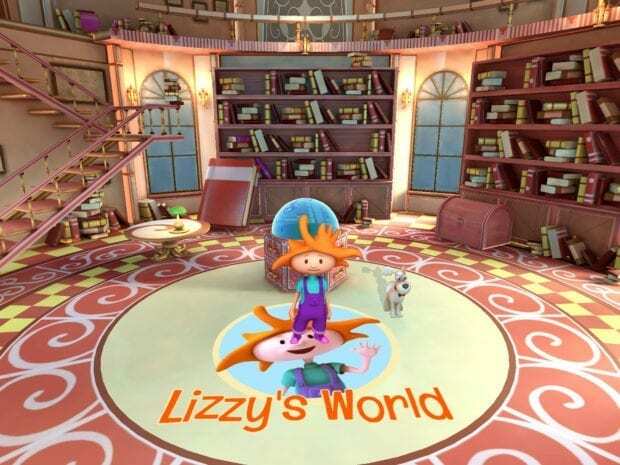 Play Forward's Lizzy's World is available on iOS 11 devices and Android devices.